And now, the meaningless table. The book gods were very kind to me this week. 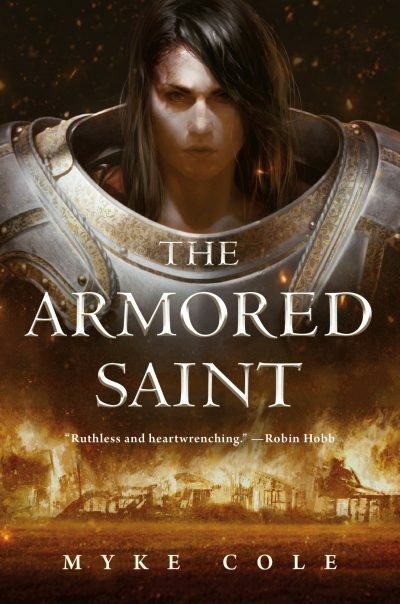 As with the previous core lists, here are twenty Speculative Fiction Works about psionics and other mental gifts chosen entirely on the basis of merit and significance to the field1. No implication is intended that these are the only twenty works you should consider2. Any given work by a particular author can appear on only one list. A given author may, however, have works on various lists but each instance of their work will be unique. 2: NO IMPLICATION IS INTENDED THAT THESE ARE THE ONLY TWENTY BOOKS YOU SHOULD CONSIDER. herself? No, that life isn’t for her. that the Deep wants them to join the fight. 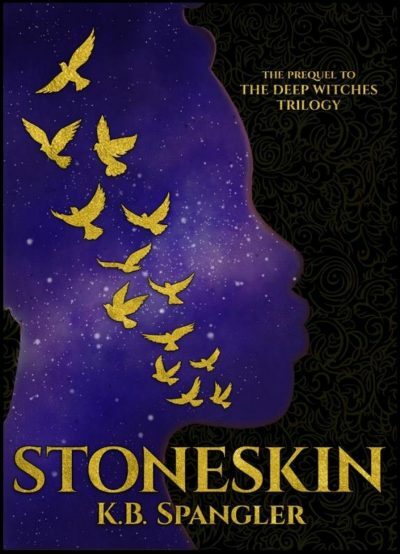 STONESKIN is a prelude to the DEEP WITCH TRILOGY, coming soon. An odd Eritrean coin travels from lovers to thieves, gathering stories before meeting its match. Google becomes sentient and proceeds toward an existential crisis. An idealistic dancer on a generation ship makes an impassioned plea for creativity alongside survival. Three Irish siblings embark on an unlikely quest, stealing enchanted items via bad poetry, trickery, and an assist from the Queen of Cats. 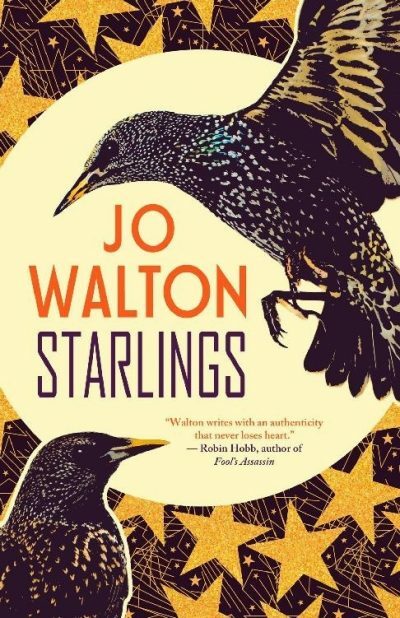 In her first collection, multi-award-winning novelist Jo Walton (Among Others, Farthing, Necessity, The King’s Peace) delivers subtle myths and wholly reinvented realities. She soars with eclectic stories, subtle vignettes, inspired poetry, and more — rising from the everyday into the universe itself. 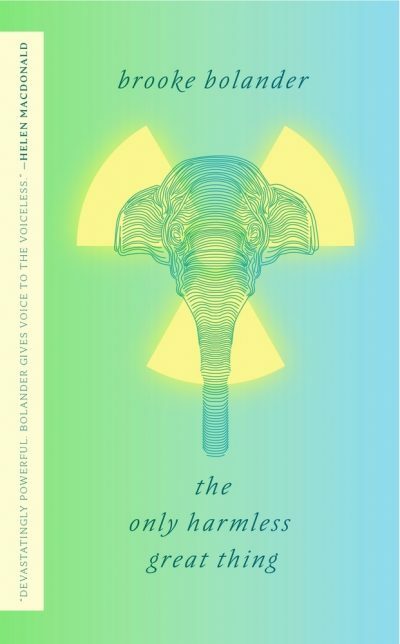 As with the previous core lists, here are twenty Cyberpunk Speculative Fiction Works chosen entirely on the basis of merit and significance to the field1. No implication is intended that these are the only twenty books you should consider2. Somehow, with the help — and hindrance — of an annoying newly-minted super named Orion, Vada has to stop the chaos before it destroys her and everything she holds dear…and ruins her superhero debut. 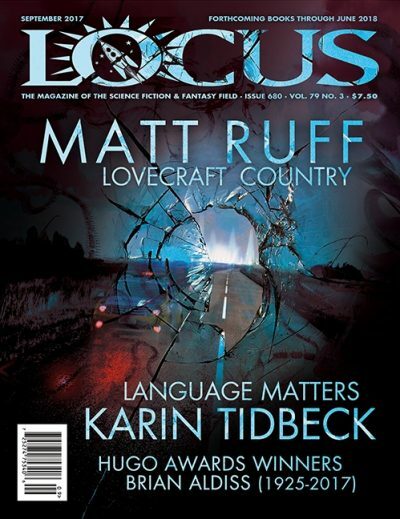 The September issue features interviews with Matt Ruff and Karin Tidbeck, a column by Cory Doctorow, an obituary and appreciations of Brian Aldiss, lists of forthcoming books through June 2018, and reviews of short fiction and books by Annalee Newitz, Josh Malerman, Kat Howard, Linda Nagata, and many others.